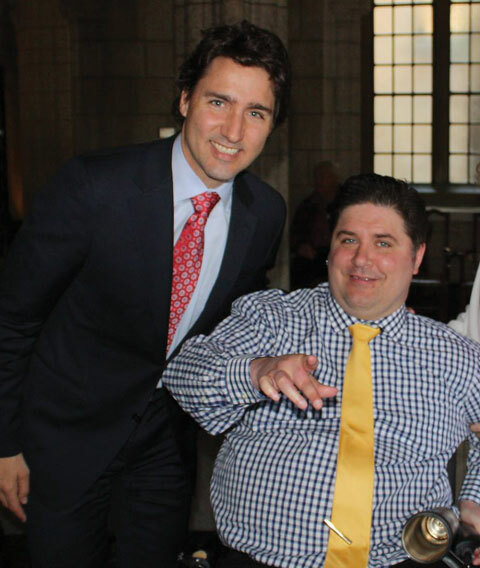 Kent Hehr takes on the seemingly impossible. Kent Hehr is in his campaign office on a sweltering May Saturday, getting ready to go door knocking. Hehr is the federal Liberal candidate for Calgary-Centre, currently held by Conservative Joan Crockatt. The election is five months away but Hehr and his campaign team are busy. “This is starting to be an exercise in futility,” says Vincent St. Pierre, Hehr’s executive assistant. St. Pierre is kneeling on the floor, trying to replace the batteries on Hehr’s wheelchair, stuffing them into the undercarriage after cutting off their oversized plastic handles with a butter knife. Changing the batteries is usually a 20-minute process, but today it’s taken almost an hour. Hehr’s partner, Deanna, hands the candidate a slice of pizza and refills his travel mug with water. She tells St. Pierre to abandon the new batteries and put in the old ones. He does, but they won’t connect. The stress in the room is palpable. Hehr closes his eyes and rests his hands on his chest. He’s gone into a meditative state, a slight grin on his face. In the midst of the fight with the battery, in a hot office thick with the smell of pepperoni, it’s an act of impressive grace. 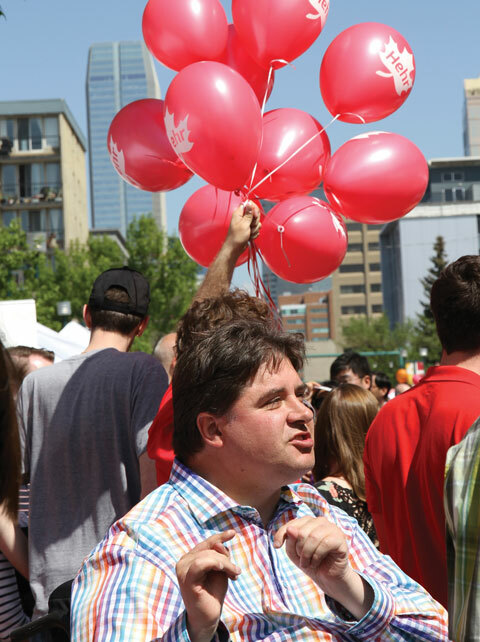 What Kent Hehr is trying to do in Calgary-Centre is make history. No federal Liberal has won a seat in Calgary since Pat Mahoney did in 1968, the year Trudeaumania swept the nation. Since then, for nearly five decades, Calgary has been a stout, exclusively conservative bastion—but Hehr thinks he can break through those walls. In 2008 and 2012 he ran successfully for the provincial Liberals in Calgary-Buffalo, which lies within the federal riding of Calgary-Centre. Whether or not there’s a national mania for another Trudeau (Justin), Hehr is a strong candidate. Early polls have him as the favourite. 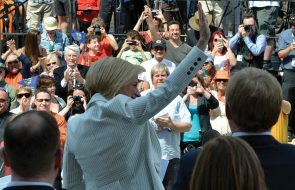 No federal Liberal has won a seat in Calgary since Pat Mahoney did in 1968, the year Trudeaumania swept the nation. The battery problem solved, Hehr and five volunteers arrive in prosperous Scarboro, a place that looks a bit like Hobbiton if owned by investment bankers. Each volunteer takes a handful of brochures and prepares to track voter data on tablets. Communications lead Jody MacPherson will take photos of voters in conversation with the candidate for use on social media (with voters’ consent). As the gang heads out, Hehr gives the volunteers their opening lines (“Hi, I’m volunteering for Kent Hehr…”), too quickly for anyone to memorize. He doesn’t seem concerned; just eager to get territory covered before his wheelchair runs out of juice. This is an important matter for Hehr as he campaigns because, though his old riding of Calgary-Buffalo lies within Calgary-Centre, the parts of the federal riding that are outside his old provincial constituency are significantly wealthier. Such neighbourhoods include Scarboro, Elbow Park, Britannia, Bel-Aire and Mount Royal, some of Calgary’s most well-heeled addresses. The 2011 National Household Survey shows Calgary-Centre to have an average family income of $171,228 compared to Calgary-Buffalo at $106,609. Wealth might not be the only determining factor in how someone votes, but the fact is that Hehr is taking his federal campaign into territory with different lifestyles and concerns than he was used to in provincial politics. Some of the issues he and his party are advocating in 2015—a new federal health accord, the first since 2004, and added funding for the Canada Pension Plan—are appealing to riding residents. Others are a harder sell. For example, Hehr is floating the concept of a guaranteed annual income, an idea “whose time has come,” he says. The Liberals would also jettison the Harper government’s income splitting policy, which benefits many affluent families. When Hehr is not door-knocking, he often travels the public areas of his riding. After nine years in provincial politics, he is a fixture. People might find him chatting outside the crowded Ship and Anchor pub on busy 17th Avenue or visiting with grocery shoppers in Co-op or Safeway. At his main watering hole, The Blind Monk on 12th Avenue, Hehr enjoys debating his conservative buddies, the “ol’ Kool-Aid drinkers,” as he calls them. “Have some beers and swap some lies. It’s not the worst thing in the world,” he says. Hehr is described medically as a C5 quadriplegic. He can feel his upper chest and above, and has no difficulty breathing. He has the use of his biceps but not his triceps, and retains most of the use of his hands. The portrait that emerges of Hehr before the shooting is of an opinionated and gifted hockey player who liked to drink beer and chase women. “I often rebelled against authority, whether coaches or in the classroom,” he says. 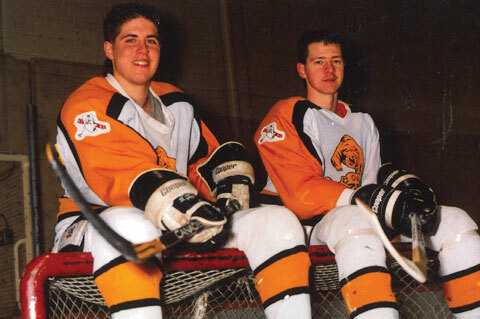 As a Triple-A Midget defenceman, Hehr had a reputation for being difficult. After getting bumped from the Lloydminster Bobcats, he called up Don Phelps, who was then coach of the Calgary Canucks, looking for a roster spot. Hehr says he owes much of his success to his sister, Kristie Smith, who helped him adjust to his new life. This took a large personal toll on her. “She was under a huge amount of stress and ended up flunking out of school,” he says. But her encouragement got him back to university after he’d spent nearly a year in hospital. Her pursuit of a law degree inspired Hehr to follow suit. She currently practises pipeline law with TransCanada. After completing his law degree at the University of Calgary in 2001, Hehr spent seven years at Fraser Milner Casgrain. The firm’s offices were located in his future riding of Calgary-Buffalo. Though he says he was an “average” lawyer, he enjoyed practising law, and it gave him invaluable skills in building and dissecting arguments regarding legislation. The aid Hehr received from the healthcare system and AISH were essential to his recovery and career progress. This fuelled in him a desire to protect and improve the resources that were available to people with disabilities. He became involved with community organizations including the United Way and the Canadian Paraplegic Association. “That crystallized for me that I wanted to get into politics,” he says. Hehr cites several achievements in his seven years as MLA for Calgary-Buffalo. As justice critic, he pressured the government to increase police presence in downtown Calgary to tackle gun violence. He is proud of the day-to-day work he did as an MLA, hearing the concerns of homeless constituents and helping low-income seniors acquire hearing aids and dental surgery. Hehr says he began to argue long before anyone else did that Alberta’s fiscal problems weren’t about high expenses but about low revenue. He lists his 2014 legislative motion in support of Gay–Straight Alliances as among his proudest moments. “It was good public policy, helping LGBTQ youth,” he says. Even the Tories couldn’t ignore it forever. He also believes the Wildrose refusal to back the eventual bill to support GSAs was one of the key factors that kept them from winning the 2015 election. “Alberta is a very progressive place,” says Hehr. “I feel it in every fibre of my being.” The provincial NDP’s victory in May does suggest that Alberta is ripe for change. It helps Hehr that Calgary-Centre’s MP, Joan Crockatt, who is running for re-election, won less than convincingly in the 2012 by-election (37 per cent of the popular vote) and has not shone in Parliament. In the run-up to October’s federal election, Hehr may have recent history on his side. Crockatt won the by-election because of a vote-split on the left, with the Liberal candidate, Harvey Locke, receiving 33 per cent of the vote. Calgary Ward 8 councillor Evan Woolley sees the opposition vote in Calgary-Centre “naturally” going to Hehr this time. “Calgarians are shedding that conservative skin,” says Woolley. “You can still be progressive, centrist, but not necessarily a left-winger.” Woolley sees in Hehr the kind of populist appeal that Ralph Klein enjoyed: the ability to chat with anyone; the kind of guy you would like to have a beer with. 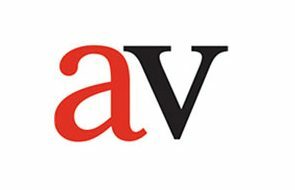 Bryn Evans is a journalist and arts critic based in Calgary. He was a long-time writer and editor for Fast Forward Weekly.